Do you like your appearance, do you like your style? Please accept your body, & it’s imperfections. Just causes insecurities, you’re not alone. That uniquely separate, us apart. the pain in my right hip that has got increasingly worse since it “popped” sideways – subluxed to those in the know – a couple of weeks ago. Rather unfortunate as this is my “good” hip!! The pain is completely different to the nerve pain and definitely EDS induced – it is deep in the front hip crease and at its worse on walking, to the point of literally taking my breathe away. 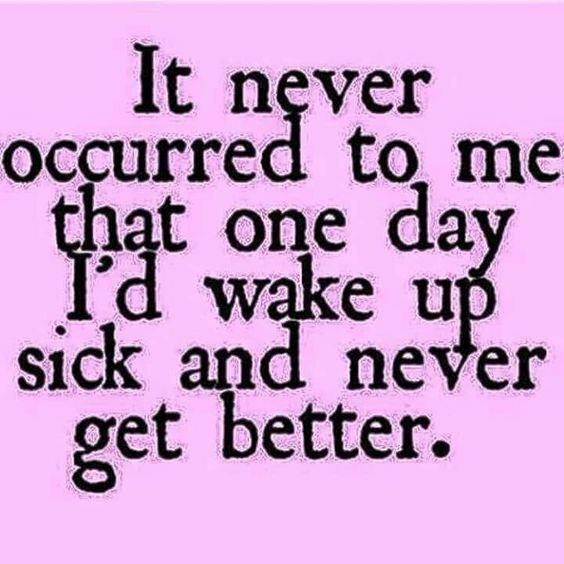 Or that could be because my hip gives way and I fall over!! So a referral is in the post fo r an ultrasound and orthopaedic appointment, and poor old Geoff, my very patient physio, is going to receive a call to ask for help with not just the shoulders any more. I have also spotted a tube of ibuprofen gel in my latest prescription bag….I wonder which dodgy body part I’m supposed to apply it to? There isn’t enough to cover them all!! The second appointment was with the neurologist to check me out for seizures. I am delighted to report – and just slightly relieved – that I passed muster and don’t have epilepsy. But – and no great surprises here – the faints, dizzy spells, palpitations etc are probably due to the collagen issues of EDS within my blood vessels combined with the chronic nerve pain…so another referral is winging its way to a cardiologist to put me on a tilting table to attempt to play havoc with my blood pressure!! And investigate POTS – no not another foray into drugs, but postural orthostatic tachycardia syndrome! Another couple of referrals and I will have stamps in my book for consultations with every body system. Nearly a professional patient. Something that did make me laugh is that the lovely doctor told me that I must lie down immediately when I feel the aura of a dizzy spell/faint coming on – not sure how this will be received in the aisles of M&S. We managed a trip to our book club this week – we meet in the pub, so Duncan isn’t going to miss this easily – and I have also been lucky to join The Book Club (TBC) on facebook. For those of us who have “bad” days, reading can be a huge part of our lives from comfort to distraction to enjoyment. Through TBC I have joined a group called Netgalley, which is a forum for “professional readers” to read and review new books prior to official publication. I’m not quite sure how I will get on with either of these sites – both ask for honest reviews to be published on goodreads and Amazon – but I thought that I would also have a go at posting some Book Chat on Painpals for my friends in the chronic community. 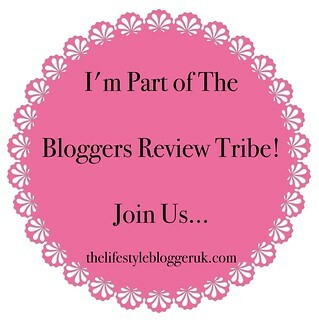 At the moment I have opened a new page at the top of the blog and my first review, which is for a new book on TBC, can now be found there. 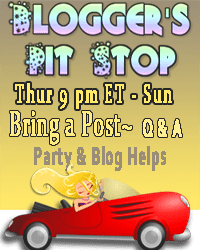 Please stick with me on this, as I might find that I need to alter the theme of the blog if this doesn’t work out! Guest reviews would be most welcome too. We have a trip to Exeter later in the week for Olly to visit the university open day – Lucy and I plan a day shopping, but she is getting concerned in case I have a fall. I did suggest borrowing a wheelchair – I know that I can’t walk very far and I have a feeling that Exeter is hilly – but I’m not sure that she fancies pushing her mum……to be continued! Great post by Kindra – will ring bells with many of you painpals! 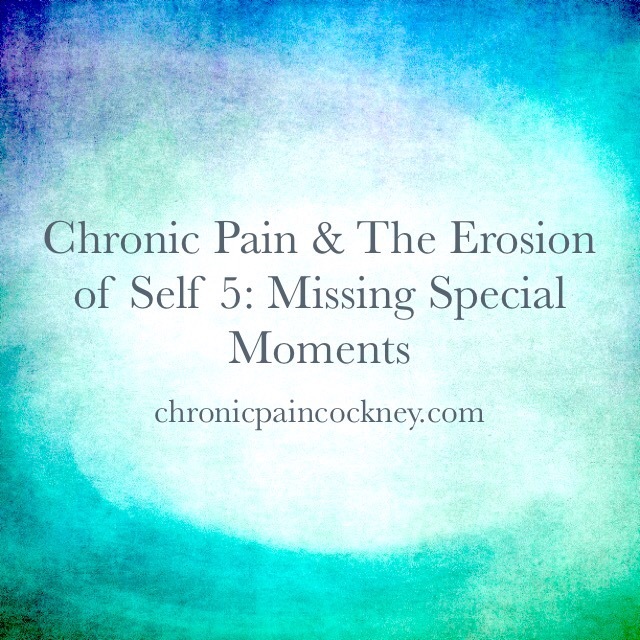 As anybody living with a debilitating chronic illness can tell you, missing the really special or important moments is a terrible aspect of Chronic Life. It’s not just our moments that pass us by either, but the moments of people we care about. This afternoon I went to see an encore performance of the Royal Ballet production of Frankenstein at our local cinema. Yesterday I seriously doubted that I would make it, having woken at 6am with incredible leg pain and worsening dizziness as the day went on. Every time I moved my head the room seemed to move at double speed! But today was a new day, with better weather and better pain control. After a morning spent doing the run of the mill mundane – you know, washing school uniform, peeling spuds etc. – and even managing some weeding (a slightly pathetic looking patch in view of what is left to do – but Duncan really can’t get his head around the need to pull out weeds! ), I was looking forward to an afternoon of culture with mum. Going to the theatre proper, particularly an old theatre such as the Royal Opera House in Covent Garden, as a disabled person can be almost impossible. It is fantastic that many theatres now run schemes whereby the disabled person can take a free carer with them, but this doesn’t negate the difficulties encountered in negotiating public transport (I could fill a whole post with my trials and tribulations on escalators) or the stairs in an old building or the discomfort of old seats for a body in pain. So to be able to visit the “theatre” close to home, by car, in the relative comfort of the local cinema and yet still feel a part of the whole staged experience is fantastic. Frankenstein is a new ballet choreographed by the very young, and very gifted Liam Scarlett. To watch such talented dancers telling a story so movingly with their bodies and the music was something very special. For me, as someone with a disability and a painful disability at that, this piece provided several hours of escapism, a reminder of just how beautiful the human body can be. Please understand that I don’t mean how “pretty” a person is, but rather how through a series of movements the human body can show tenderness to anger to grace to pain in a matter of minutes. The dancers on that stage gave me the opportunity to forget my own limitations and to watch bodies at the the peak of physical fitness perform the impossible. Of course I know that these athletes have suffered for their art – aching muscles, bleeding toes, painful joints, psychological frailty and rejection – but for those couple of hours they glide, leap, caress, and interlace their limbs with such grace and ease that it is easy to believe that their performance is effortless. I have to admit to a touch of jealousy that their bodies will allow them to train hard enough to be able to perform with such guile and passion…. The Creature, played brilliantly by Steven McRae, was portrayed as a hideous imitation of a human, so deformed that even his creator could not love him. Scarlett has focused upon the love stories in this dramatisation of Shelley’s classic – not just the love story between Frankenstein and his lover, Elizabeth, but also the Creature’s need to be loved and his complete bewilderment that he is unloved, and his realisation that he is “different”. This has got me thinking about how when we find ourselves at our lowest ebb, and this isn’t necessarily due to a physical issue, it can be difficult to see ourselves as lovable. Equally how often do we hold preconceived ideas based upon imperfection – the never judge a book by its cover analogy? Does physical or mental difference make us less lovable? This is getting a bit deep for a Sunday night now……maybe another blog post in the making! So ahead of a week of exams – the final two for the uni student and end of year week for the “lovely, untidy” girl – revising for the sixth former, and Grandma’s birthday (won’t tell them your age, mum!) – I will spend a few more hours dreaming that I too can glide across a stage…..until I wake up tomorrow morning, my body telling me that I never have been able to! It has been a busy week. Exams, a school trip to Belgium, dinner out for Grandad’s birthday, SATS week at the primary school – and this is just the kids. The boys kept enthusing about how peaceful the house was last weekend without their sister, although when she returned from the battlefields trip she said that they both kept messaging her! The student engineer is half way through his end of year exams – this means only 5 more to go. He keeps telling us how hard done by he is as all his mates only have 2 or 3, and all of his are maths – well, yes son, you are studying engineering! For me it has been a week of catching up with friends, one whom I hadn’t seen for several years. 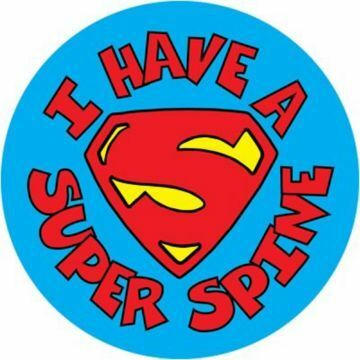 The other is a nursing friend – we started at the hospice on the same day and have since shared the same neurosurgeon for our backs and now the same physio for our different, but equally odd conditions! She for an ankle injury, me for my shoulders. I wonder if it says something about nurses of a certain age and the wear and tear on our bodies?! I personally find catching up with old friends a mixed blessing when living with chronic problems. On the one hand it can serve as a stark reminder of just how much said issues have impacted on life in the intervening years. 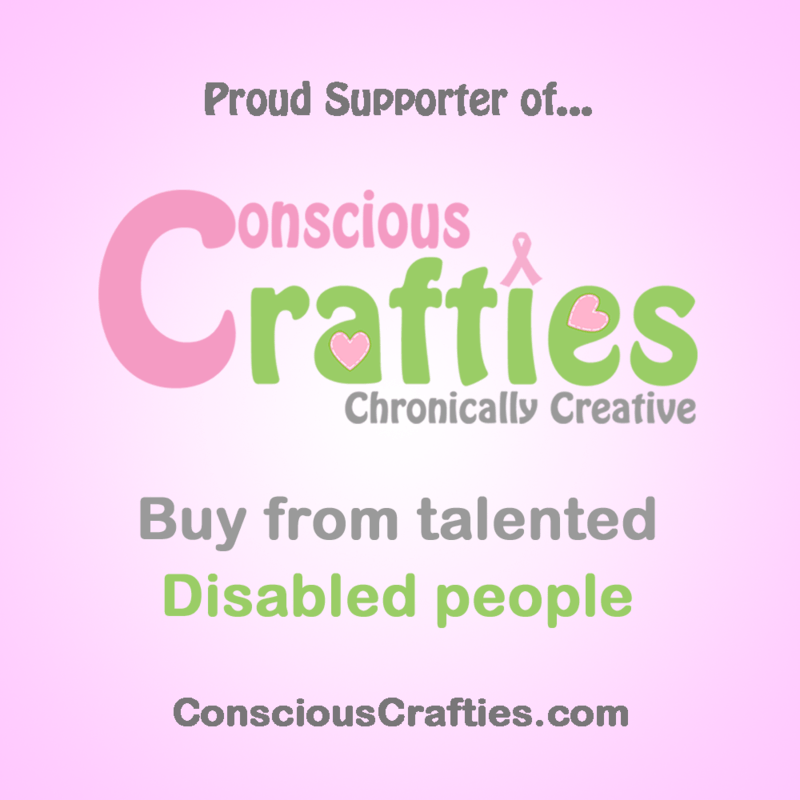 I remember a couple of years back when I went out with some ante natal friends for dinner – I think that I had undergone my first spinal fusion and had recently started using a walking stick (pink & sparkly!) – and one of the other “girls” kept saying to me that she couldn’t believe it and by the time we left the restaurant, she had become so upset by my condition that she was in tears. I comforted her and told her not to upset herself! My friend whom I hadn’t seen until last week has been through some horrendous health issues herself, yet she immediately said she could see that I have deteriorated. Yes my physical condition has worsened, yet I haven’t experienced a potentially fatal condition – but my friend contacted me the next day to say that I am an inspiration to her for the way in which I have coped. We have both undergone major life changes due to very different illnesses, both debilitating in their own ways. My friend, if you are reading you know who you are – and you are the one who is inspirational to me! What else has happened this week? My change in profession – or now lack of – was brought home to me for International Nurses’ Day and Dying Matters awareness week. But Duncan has taken the next step in a new direction this week as his hand made, bespoke audio speakers have gone to be reviewed by a hifi magazine. He says it feels like sending his baby off – the thought of someone else disliking your creation before it has even really taken shape is scary. We managed an evening out for the National Theatre Live encore screening of Arthur Miller’s A View from the Bridge. It was absolutely fantastic – Mark Strong and Nicola Walker headed a great cast, and the set was brilliant in its simplicity – spoilt only by two things. The length, as I had failed to check in advance as any good disabled, pain ridden diva would do – only to find that there was no interval, and the fact that we were sharing the cinema with a group of 16 year old boys obviously studying Miller for GCSE. Not sure which was worse….finding myself stuck in a very long performance, or sharing said performance with 16 year old school boys! Finally, Eurovision! That American got my vote – wait a minute, Justin Timberlake wasn’t a contestant. So the Ukraine win with a cheerful song about ethnic cleansing and I wait for the 17 year old to return from a Eurovision gathering. Enjoy your weekend! This is a beautifully written post by MISSTERY. Hope you “appreciate” it as much as I did. Ness, The Girl with the 5 lads and Fibro blogger, has come up with a great idea to encourage those of us who have been ill for some time to fall back in love with ourselves. She is planting a little seed to see how it grows and flourishes into something that can only be good, a place to learn to love ourselves again and all the wonderful attributes besides our diagnosis. So by using the #Besides my Diagnosis and answering some questions about ourselves, not our illness, we can start to catch sight of “the real me” again and share some self-love and appreciation for people who need to feel they are more than their diagnosis. 1. #besidesmydiagnosis the three things about my appearance that I love in the mirror? 2. #besidesmydiagnosis the things I have read most are? 3. #besidesmydiagnosis my favourite comfort foods are? 4. #besidesmydiagnosis my favourite past times are? 5. #besidesmydiagnosis my biggest accomplishment since illness is? Getting 2 boys nearly through teenage years – girl still to come! 6. #besidesmydiagnosis I feel my best quality is? 7. #besidesmydiagnosis my motto/mantra to live by? My headmaster used to regularly ask in Latin “what is the thief of time?” to which we would all answer “procrastination”…..so these days I try to live for the day and not put off until tomorrow anything I can do today…..I may not be able to do it tomorrow! 8. #besidesmydiagnosis I would love to travel to? Africa for a safari and New England in the fall – both of which we had planned 20 years ago when I unexpectedly found I was pregnant! 9. #besidesmydiagnosis my guilty pleasure is? 10. #besidesmydiagnosis I have many dreams and ambitions such as?